Winter conditions can bring a variety of issues for homeowners. Let the professionals at your local SERVPRO make it easier for you! Our list of services ranges from cleaning up water damage from a burst pipe, cleaning up sewage damage caused by an overflow, or cleaning smoke or fire damage from a chimney or fireplace --we make help make your home damages "Like it never even happened." If weather has caused a mess in your home or business, call SERVPRO today at (606) 877-2160. We are here to help 24/7! Check out our blogs for more information on our weather tips! 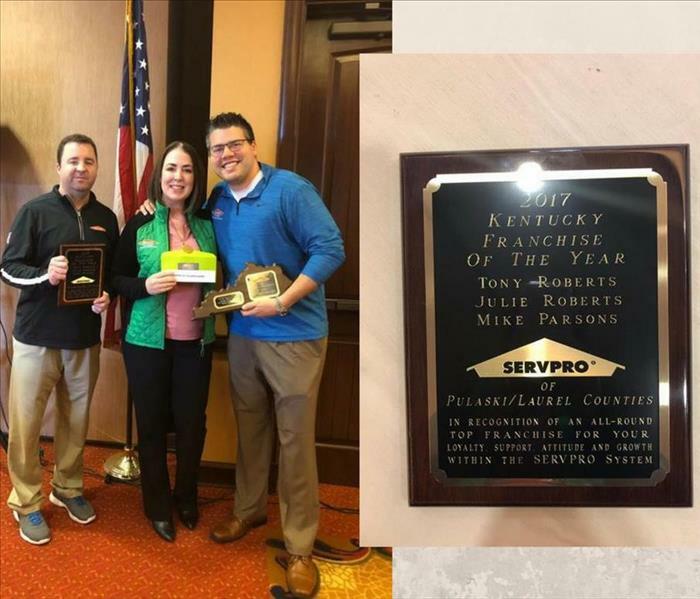 SERVPRO of Pulaski & Laurel Counties is locally owned and operated, so we’re already close by and ready to respond immediately when you need us. We’re also part of a national network of over 1,700 Franchises, which gives us access to more resources for larger cleaning or restoration projects or major storm scenarios.